Sounds like God of Mischief might truly be gone for good. During Wednesday night's special showing of Avengers: Infinity War, which Collider brought back to the big screen as part of its Collider Screening Series, the film's directors Joe and Anthony Russo fielded comments and inquiries from the audience in a live Q&A session. The filmmaking pair, who are also the masterminds behind Marvel's upcoming Avengers 4, offered up some juicy information about the superhero ensemble that shattered expectations, box office records, and hearts alike. But no reveal was quite as interesting as the Russo brothers shooting down the Avengers fan theory that suggested Loki (Tom Hiddleston) didn't really die at Thanos' (Josh Brolin) hand in the first few minutes of the film. The idea, popularized by journalist Josh L. Dickey and later picked up and fleshed out by outlets like Screen Rant, is that Loki knew his attempt to trick Thanos and stab him with a dagger was a feeble one and that "it wouldn't work," so he disguised himself as Bruce Banner (Mark Ruffalo) and floated down the Bifrost to Earth. As far as fan-crafted theories go, this one seemed plausible, especially since it offered explanations as to why Banner couldn't "Hulk out" in the film, why his conversations with Black Widow (Scarlett Johansson) lacked the fire that would exist in talks between two lovers, and why he could remember things that happened while he was stuck in his Hulk form, serving as the Grandmaster's (Jeff Goldblum) gladiatorial champion on the artificial planet of Sakaar as seen in Thor: Ragnarok. However, the Loki theory simply isn't true. Asked to comment on the notion that Loki was masquerading as Bruce Banner in Infinity War, the Russos affirmed what actually happened to the mischievous villain-turned-anti-hero: he definitely died, just as we saw on screen. "The Russo's [sic] were asked about a fan theory that Bruce Banner is really Loki in disguise. They answered. That 'Loki is dead,'" Slashfilm's Peter Sciretta, who was in attendance at the Collider-hosted Infinity War screening, relayed on Twitter. So, there you have it, gang. Unless the Russo brothers were practicing weird, deceptive reverse psychology in this recent Q&A session, Loki is capital-D dead. The directors probably have a good reason for killing him off — they reportedly "always knew which characters in Infinity War they wanted to be dusted at the end of the film," so it seems that they also always intended for Loki to die at the beginning — and fans will hopefully discover what that is when the new movie launches next year. 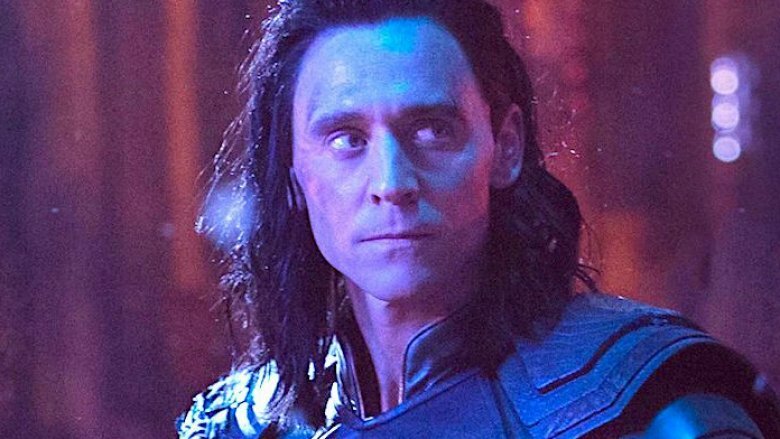 This is unfortunate news for fans of the adopted Asgardian, but the silver lining is that viewers haven't seen the last of Loki. The character — and Hiddleston, too — will lead his very own solo series for Disney's recently named streaming service Disney+. Furthermore, just because Loki died at the start of Infinity War doesn't necessarily mean that he won't come back to life in Avengers 4. Another popular theory speculates that Avengers 4 will involve a time-travel plot that will reverse Thanos' Snappening and revive the heroes who fell to dust at the end of Infinity War — and although screenwriters Christopher Markus and Stephen McFeely have stated that the deaths we saw were "real," there's no telling what might actually go down in the forthcoming film. We're hoping for the best.